Fooditka: Superbowl Take-Out Eats - Are you ready? Superbowl Take-Out Eats - Are you ready? As many are just thrilled about the big game this Sunday, restaurants are no doubt planning big parties with lots of food and drinks specials. It's going to get wild! While I usually do a round up of where to go out, this year I'm switching it up by giving you the scoop on the best places to take-in when hosting your own football shin-dig. 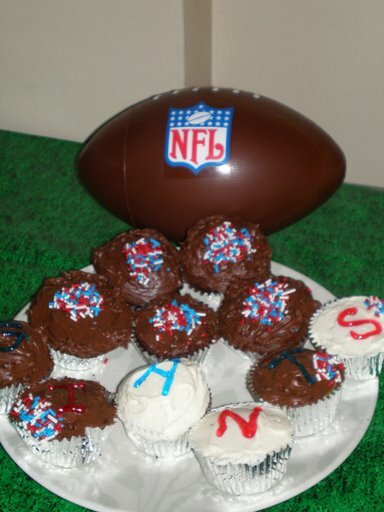 Whatever you do, enjoy and let's hope the G-Men bring it home! Bacon Deviled Eggs - You may remember that I first tried making these a week ago for the championship Sunday party and they were a hit. I love them for a football party because they're bite sized, easy to eat, and the bacon makes them stinkin' delicious. See my recipe here.